Willow is a newly converted property being part of a former parsonage for Thornthwaite church, dating back to the Arts and Crafts period. It sits in 4 acres of shared ground with wonderful views. Whinlatter forest very close by with miles of forestry tracks suitable for mountain biking. 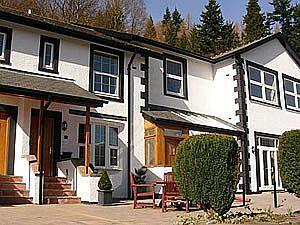 Thornthwaite Galleries nearby, Theatre on the Lake in nearby Keswick & Keswick Leisure Centre. Children welcome from any age.